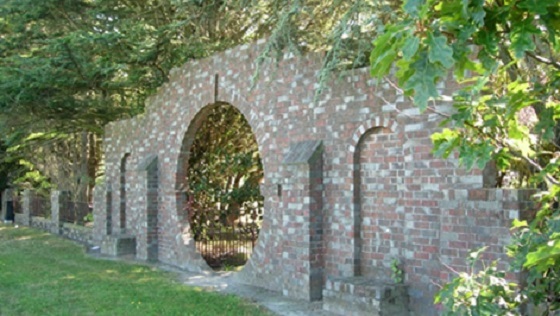 The Moon Gate was constructed on the school site circa 1935. The Christchurch earthquake had caused minor damage to the wall and the current owners were keen to retain it as a link to the past. In order to retain this historic brick fence BBR Contech was engaged to install 4 vertical 26.5mm. Macalloy 1030 Bars through core drilled holes at buttress locations from the top to underside of the foundation. After the installation, the bars were stressed to 100KN and fully grouted and capped for corrosion protection. Also horizontal Helical steel bars were inserted into cut slots in mortar beds to reinforce the arch and fence horizontally.